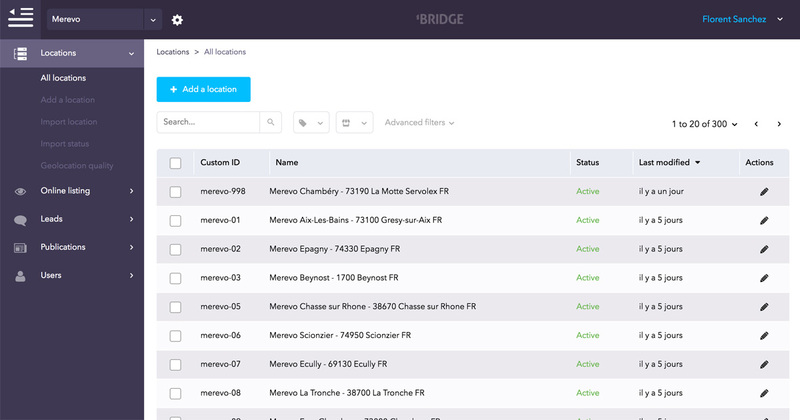 Receiving leads by email means activating the Leads module in the general configuration of BRIDGE. All the leads made for a location are sent by email to all of the Location managers. Are you not receiving leads? 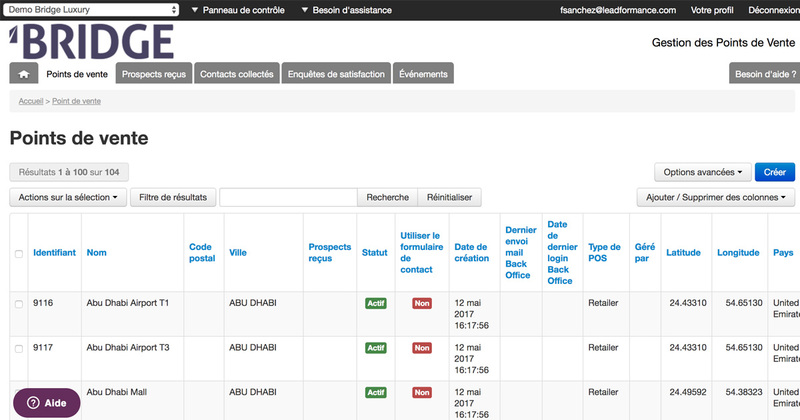 If you cannot see a Leads tab in the side menu, that means that the Leads module is not activated for your network. If you have a Leads tab in the side menu, check that you have registered for notification in "Account settings" in the "Profile" menu. By default, all leads for a location are sent by email to all of the managers of that Location only. Administrators and Group manager can also receive leads administrator notification by email must be activated in the configuration of BRIDGE. If administrator (or group manager) notification by email is activated, check that you have registered to be notified in "Account settings" in the "Profile" menu. Please contact the BRIDGE administrator for your network so that he can create an account for you.